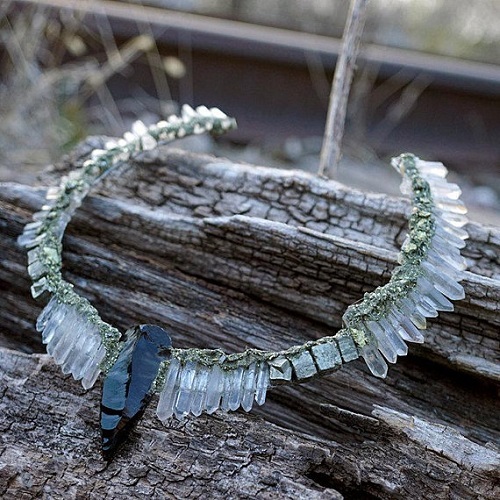 Chicago based designer, Christina Rose specializes in raw crystal jewelry. Bold and one of a kind. 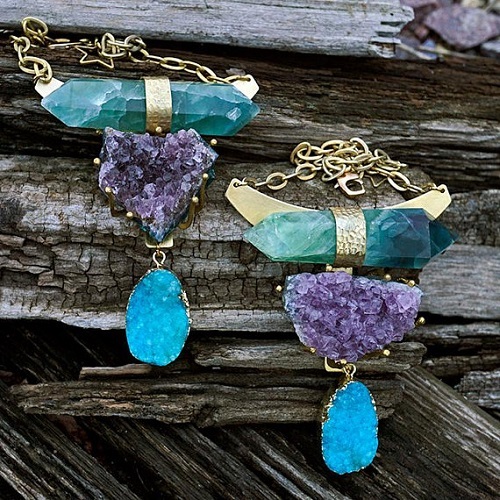 The unique Bohemian jewelry and contemporary designs are created with druzy, raw crystals and small geodes. 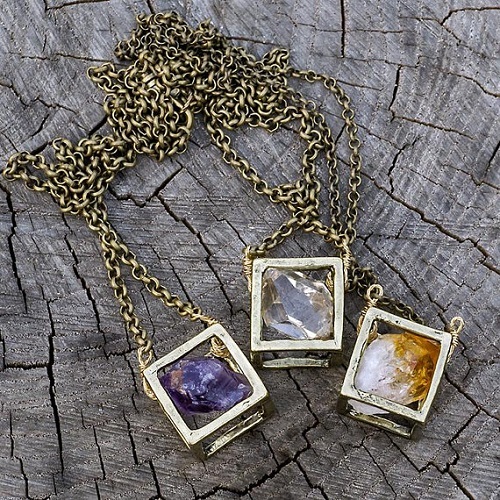 Also noteworthy is her uncommon use of Herkimer diamonds - which aren't really diamonds but double terminated quartz crystals. 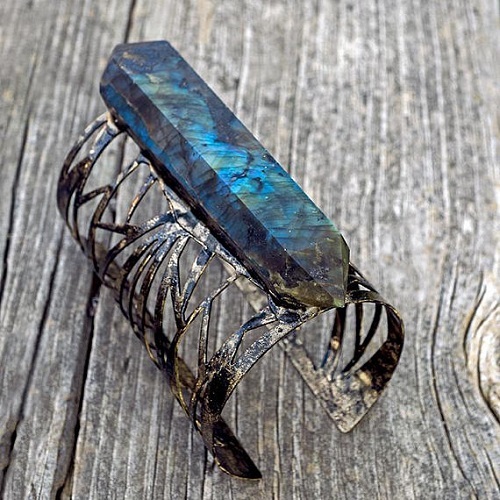 Why raw crystals? She explained that they are "Perfectly imperfect. It's just a part of my world view that everything and everyone has it's own natural beauty so I use all my stones in their purest state. I feel it's simply a matter of really looking at something and bringing it's inner beauty to light." 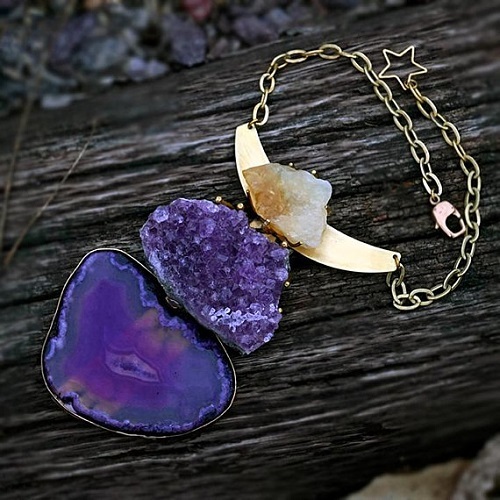 Her designs are sold through her Etsy shop as well as on her own site, ChristinaRoseJewelry. You can also follow her on Facebook and see what she is up to. 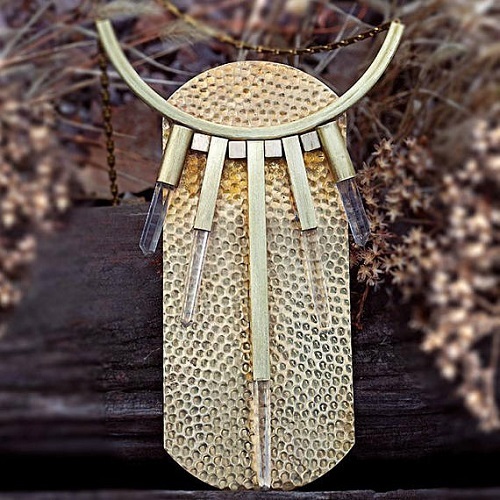 Christina is an outstanding and successful designer. She is currently a one person business. She designs, makes and does almost all her own photography! Absolutely impressive! I'd wear any of these with pride! 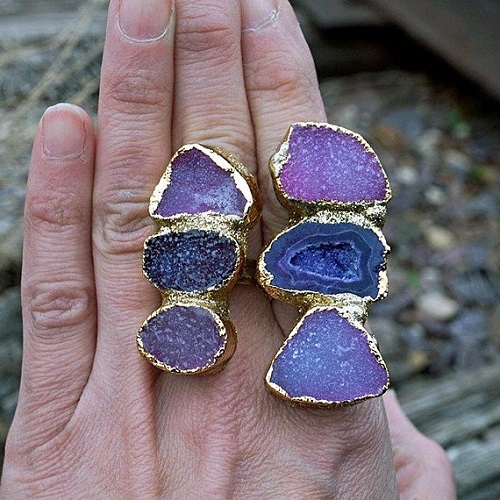 I love the look of raw minerals and their unique shapes! I think the artist has made a good use of these features!